On Friday, October 17, 2014 Uber users got great news via email in the way of reduced prices. 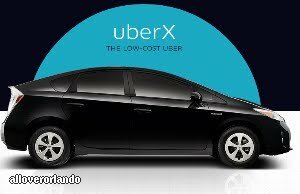 Price has never been an issue for Uber users in Orlando but Uber reduced prices anyway and would not say what the real reason was. 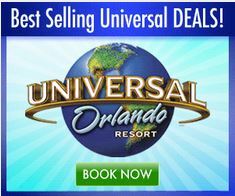 The email said that they are reducing prices to be in line with Tampa pricing so users visiting each location would have the same pricing. But the real reason is their main competition, Lyft reduced their prices a few weeks ago. The bad news for Lyft is when reducing prices they also either lost full time drivers or drivers cut back on their hours. Drivers that went through the reduced pricing with Lyft said that the new pricing is now their break even point and the only way they can make money is to participate in the company’s bonus plan. The bonus plan allows drivers to earn back the commission that Lyft takes from every ride. When Uber sent out the email to the riders, they did the same for their drivers. It is ironic that they had to tell their drivers that they would be making less money only weeks after telling them how foolish they would be to drive for lyft since lyft cut their prices. So Uber had to say that the reason for the reduction in pricing was to match the rates in Tampa, never mentioning Lyft as the real reason. Now the competition is for drivers, since many will quit after this round of price drops. Lyft is allowing riders to tip their drivers through their app, Uber has not said anything about tips but in the past did not allow it. Uber has not set up a program to earn back commission. Will there be drivers available for either service? Only time will tell but it is very likely both companies will have to increase prices at least back to what they were in order to have enough drivers to give riders good service. Originally Uber provided rides at a very fair price for the rider and driver but now the price is so low it is hard to pay expenses for the driver and Tips are appreciated, still not requested or expected.